So What Is 'The Commission Code' All About? 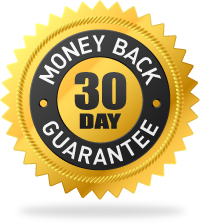 Unlike most courses which teach you how to choose a converting offer, how to make a squeeze page, how to make a bonus page and how to run traffic, the commission code is a "done for you on a silver platter" product. Ben Martin is a super affiliate who makes hundreds of dollars on every promotion he does and regularly tops the leader boards of every affiliate contest. He has made over a quarter of a million dollars in 2017 so far. The 7 campaigns he has laid out for you in the commission code are his best performing campaigns so far this year. Apart from the custom bonus pages he makes for you, he also shows you how to use a software called 'Clickfunnels' which you can easily use to make professional email capture pages.Ben also shows you how to link everything up in an auto-responder and gives you a series of follow up emails for each campaign which you can simply copy and paste.This is a very unique product which can really help newbies get started in the world of making money online.